80 landscape supplier booths featuring nursery stock, equipment, materials, new products, and more! Some of the latest sports field techniques, technology, and cutting-edge equipment with hands-on demonstrations and presentations at 20 minute educational sessions presented through-out the morning. The ILSTMA & MIPE have teamed up with sports turf managers, facility managers, recreational village of Glendale Heights parks and recreation managers, coaches, park superintendents, and designers to offer an exciting Vendor & Education Field Day for groundskeepers and athletic directors. Quinclorac has shown to be a good-excellent post crabgrass herbicide. Quinclorac also exhibits some broadleaf activity, especially on legumes like black medic and clover. Drive activity is very rapid, with crabgrass kill occurring within 1-2 weeks after herbicide application. Young (non-tillered) crabgrass may brown & die in less than one week. Call your sales rep for more information. DYLOX provides fast-acting control of surface-feeding and soil insects, including white grubs, mole crickets, sod webworms and cutworms. Not wasting any time, Dylox works immediately after irrigation or rainfall, and penetrates thatch up to 1/2-inch thick when watered properly, providing grub control within 24 hours. 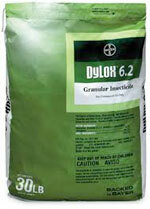 Under normal conditions, Dylox controls the pest and then degrades quickly. There are no Dylox restrictions regarding turf species or sites for landscape and recreational-area uses. Aborjet’s Tree-age G4 is the new general use formula of one of the most popular and effective pesticides against Emerald Ash Borer. Tree-age G4 a systemic, injectable insecticide that provides two-year control of many insect and mite pests in deciduous, coniferous, and palm trees. The active ingredient - Emamectin Benzoate - kills existing pest populations and provides lasting protection from new infestations. Instead of complaining about what you don't have, appreciate what you do have. Instead of complaining about other people, think about something good about them. Instead of complaining about problems, look for solutions. Focus on the positive and help overcome negativity. Join me and thousands of others for a 7 Day No Complaining Challenge! Go a week without complaining and see how it changes your life and team. Share this with friends / co-workers to invite them to take the challenge with you. One of the biggest threats to building a great team and organization is complaining. When we complain we focus on everything else but being our best. Complaining actually costs the economy billions of dollars in lost productivity and it will sabotage the morale, engagement and culture of your team if you let it. Believe me; I know a lot about complaining. I use to be a professional complainer and found that it not only sabotages your own happiness and success but the success of your team and family. I realized we complain for two main reasons. 1. We feel powerless. 2. It’s a habit. I decided to break the habit and when I stopped complaining I started to create the life that I wanted. Let’s face it, if you are complaining, you’re not leading. To help you break out of a "complaining" rut here are five things you can do instead of complain. These tips will help you realize you are not powerless. You have the power to choose your beliefs and actions. And in your focus on the positive instead of the negative you'll find the faith, strength and confidence to take on life’s challenges and identify the solutions to your complaints. 1. Practice Gratitude. Research shows that when we count three blessings a day, we get a measurable boost in happiness that uplifts and energizes us. It's also physiologically impossible to be stressed and thankful at the same time. Two thoughts cannot occupy our mind at the same time. If you are focusing on gratitude, you can't be negative. You can also energize and engage your coworkers by letting them know you are grateful for them and their work. 3. Focus on Success. Start a success journal. Each night before you go to bed, write down the one great thing about your day. The one great conversation, accomplishment, or win that you are most proud of. Focus on your success, and you'll look forward to creating more success tomorrow.